The following 10 units will be 3 times as likely to appear in arena games: Trinity Drone, Venge Cannon, Gauss Fabricator, Cluster Bolt, Iso Kronus, Wild Drone, Shredder, Ebb Turbine, Militia,Iceblade Golem. Near the end of a long game in which I transitioned to a breach-proof strategy following the purchase of a Gauss Fabricator. 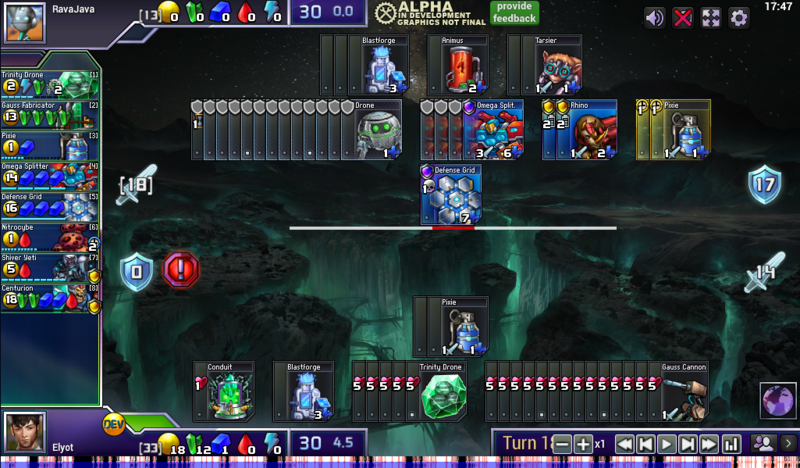 With a huge pile of Trinity Drones andGauss Cannons, it will be difficult for my opponent to defeat my forces, even though I’m not building any defenses.